Like any honest gun owner, however, I can admit that I don't do a deep clean of all my guns as often as I would like. 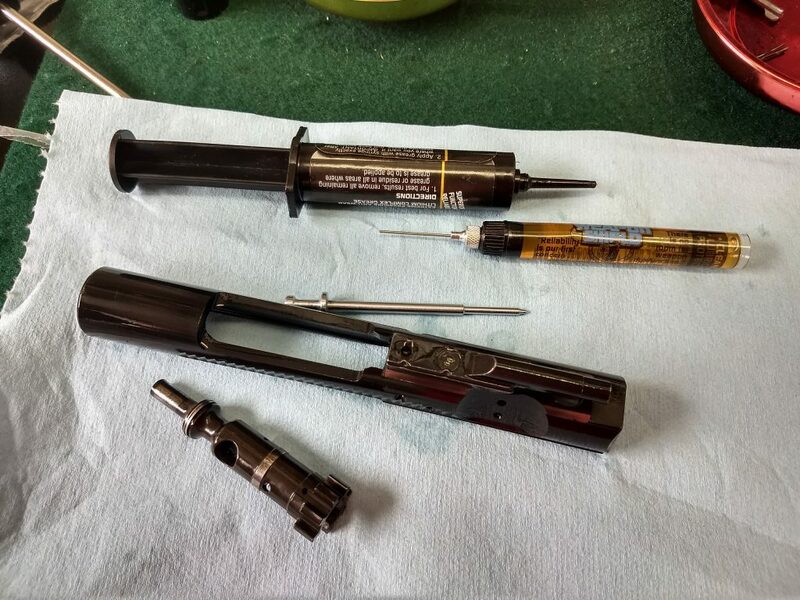 If I'm being completely honest, I've never stiped my Ruger 10/22 or my Remington 870 Express to do a deep clean. And, like most gun owners, I've had my guns get dirty enough to affect their function. So, when High Caliber agreed to come out and show me how they work for this review, I figured why not? It might not be something I'd pay for on my own but at the very least I'll get my guns cleaned, and I won't even have to leave my apartment. After going through their process, I realized it's actually a service I can recommend not just for the wealthy or lazy gun owner but also for people like me who fall somewhere in the middle of those two scales. High Caliber doesn't just do the kind of deep clean that I could accomplish on my own with some patches and some Rem Oil. Instead, they're able to achieve a kind of cleaning I could never dream of doing with my own two hands on my coffee table. It's a truly professional operation with professional-grade tools that delivers a professional-grade clean. They had every cleaning implement you can imagine, from Swab-its to star chamber scrubbers to bolt scrapers. And, best of all, they had a seven-gallon Crest Ultrasonic machine. They knew how to strip every one of my guns down to their base components. They knew which firearms finishes should be cleaned with which solvents. They knew how to reassemble everything back into perfect working order. I was honestly impressed by how clean everything came out. My guns, many of which had thousands of rounds through them, looked brand new. 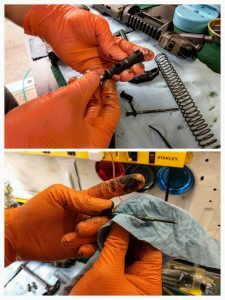 My AR-15's bolt was spotless, which was particularly impressive since I'd never fully stripped it to be cleaned before, preferring instead to simply dunk the whole thing into some solvent. When High Caliber Weapons stripped my bolt, it wasn't pretty. But it was once they got done with it. When I tested them at the range, some of the guns performed noticeably better. The .22s were particularly refreshed, which makes sense since they tend to get pretty dirty. There are only three downsides to the service. The first is the cost. High Caliber charges $40 per handgun and $55 per long gun. If you have fewer than 10 guns to clean they charge a $75 set up fee. However, they allow customers to pool guns with their friends and avoid the fee. So, even if you only have a few guns or only have the money to get a few guns cleaned, as long as you can find a friend or two to pool your guns, you can still get them cleaned without paying an arm and a leg. 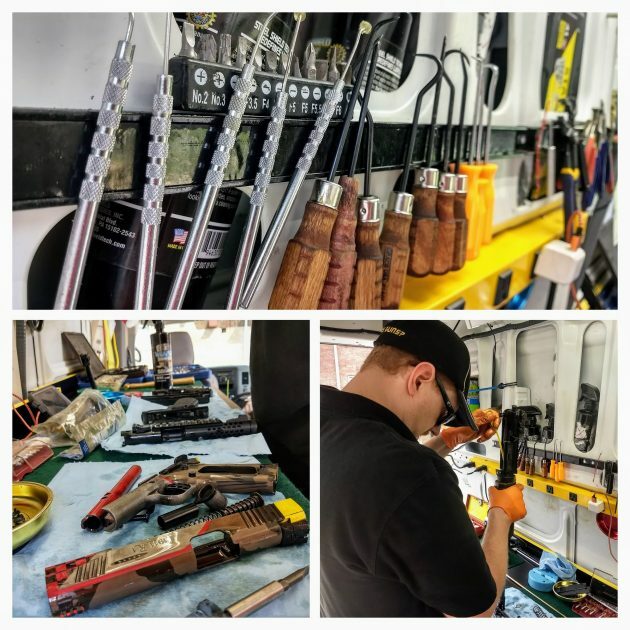 The second downside is, paradoxically, one of the best upsides of the service: They drive a gun cleaning truck up to your home and clean your guns. In theory, this could cause some consternation among your neighbors if they're particularly nosey and anti-gun. 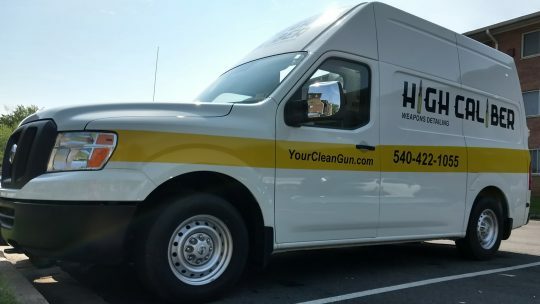 I had five guns cleaned in the parking lot of my Alexandria apartment without any issues despite maintenance workers walking by and one of the rental office workers showing an apartment while High Caliber was there. They also told me they'd yet to have anyone bother them while on a job or ask them to leave. But, if you live in a particularly anti-gun neighborhood, it's something to consider. The third downside is that they only have one truck and only operate in northern Virginia. They have plans for expansion but, for the moment at least, most people won't be able to enjoy their service. Hopefully, that will change sooner than later. If you have more guns and money than cleaning time, High Caliber is clearly a great option. 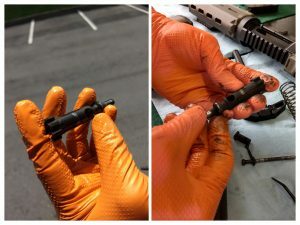 But, more interestingly, High Caliber is also a great option for the average gun owner who could benefit from an occasional deep clean that gets their guns back to a factory-fresh finish.